Willow pattern is included. 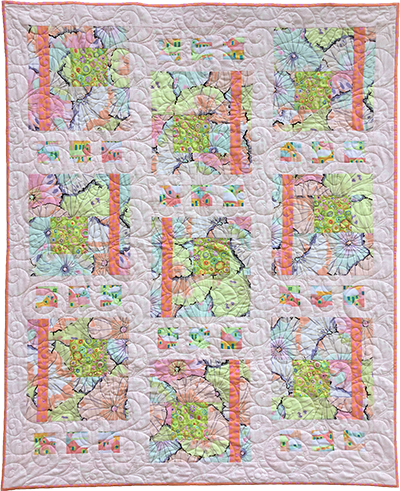 This kit makes a baby quilt size (37" x 45"), but pattern also includes instructions for a throw size (60" x 72"). Kit contains fabric for top and binding; backing fabric not included. We used 1.5 yards of Thousand Flowers in Chalk.